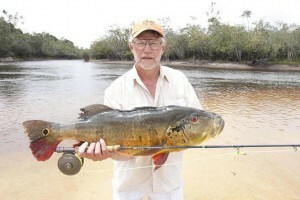 Giant Peacock Bass has become one of the most sought after freshwater fish species in the world. River Plate Anglers has been a pioneer in Giant Peacock Bass fishing in the Amazon river basin for more than 20 years now (both baitcasting and fly fishing). 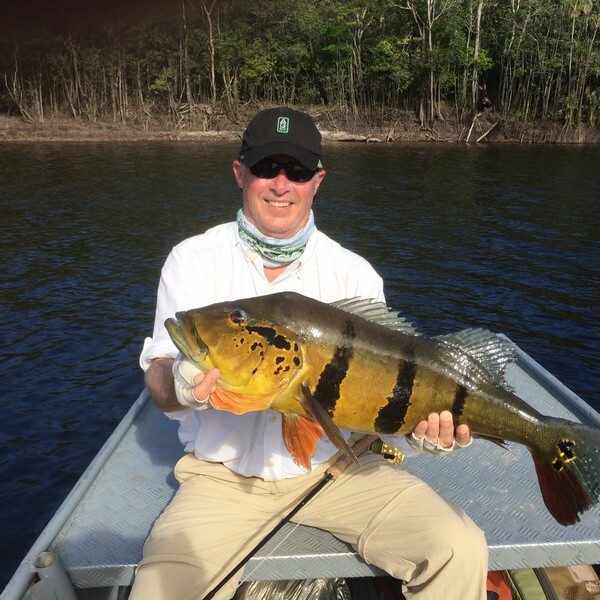 Over the years, River Plate has continuously evolved in order to provide guests access to the most exclusive (privately leased) productive fisheries, plus an unprecedented level of services, facilities, comfort and safety. 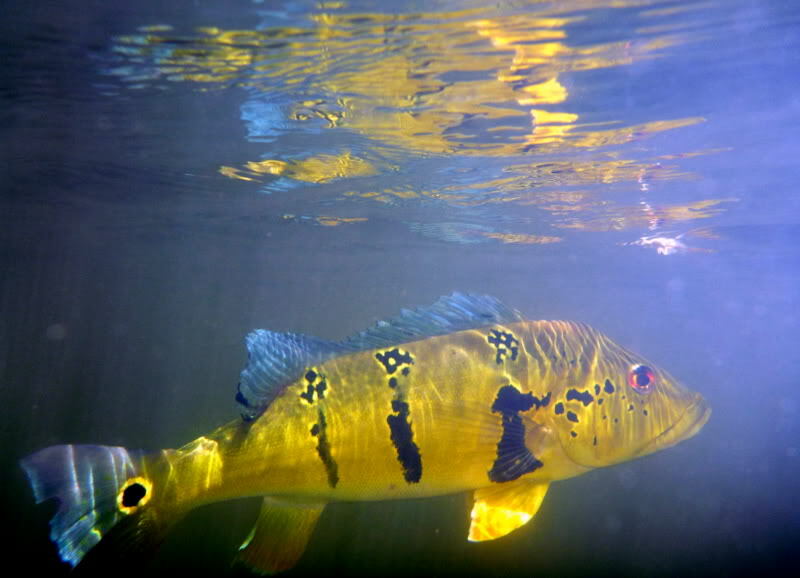 Peacock bass are pound for pound arguably the most aggressive, hardest fighting fish on Earth. 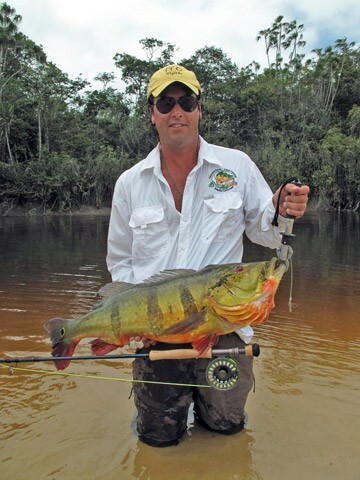 This acrobatic and colorful jungle species readily takes flies, poppers, jigs, and noisy top water lures aggressively, and offers unparalleled experiences for the most demanding angler, both for numbers of fish and sizes. It is not uncommon for a peacock bass fisherman to catch and release 20-30 fish per day… as well as payara, bicuda, pacu, redtails and other exotic species. 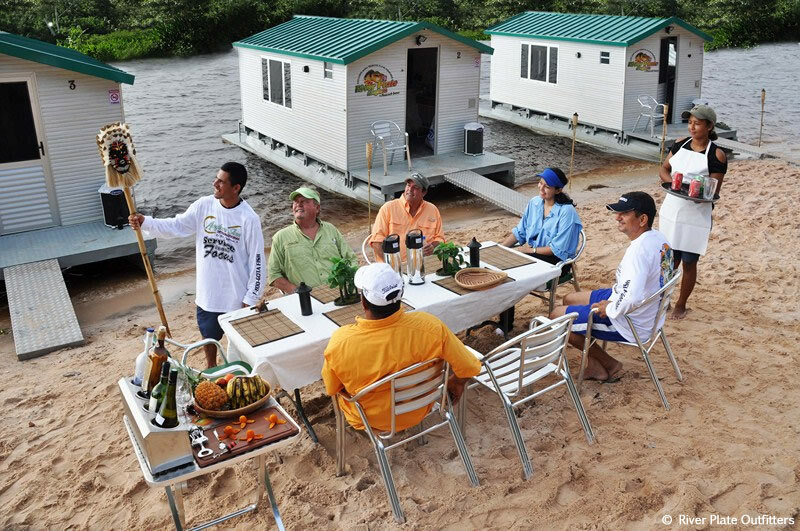 The infrastructural aspect that distinguishes the Amazon Peacock Bass fishing trips is their truly unique and highly mobile, deluxe, air-conditioned fly-in floating cabins introduced in 1996, providing unprecedented level of services, facilities, comfort and safety. Undependable water levels and over-fishing are chronic problems with fixed-base operations. 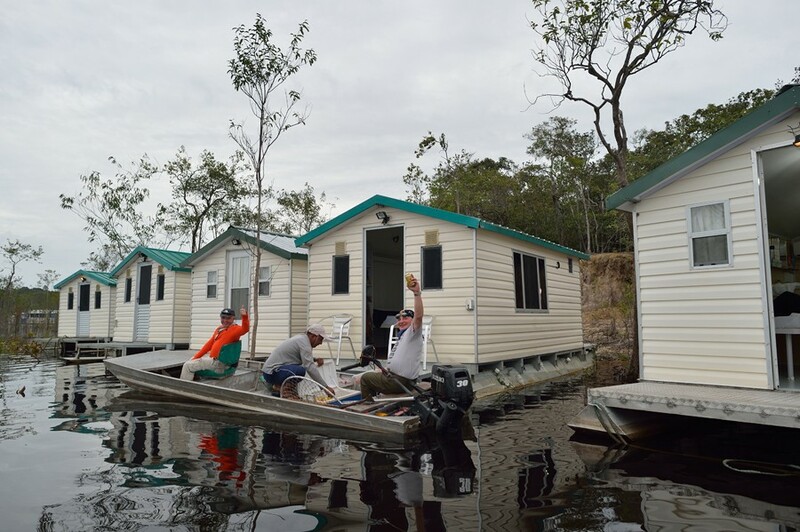 Many land-based lodges are situated in exclusive private-water areas but they can neither move to seek out optimal water levels nor move far away enough from their central location to reach unfished waters. 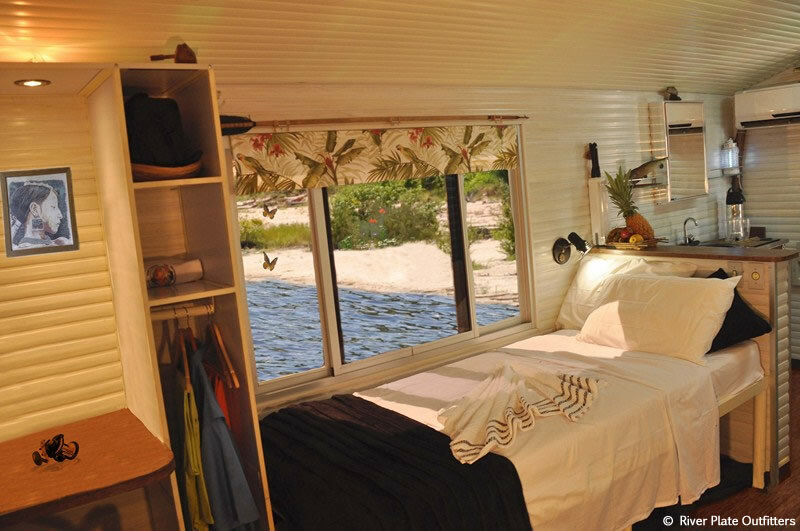 The Floating Cabins however, move on an almost daily basis, staying overnight along Caribbean-like white sand beaches. * Choose a home-airport flight that arrives at Miami airport with plenty of time for check-in for your next flight. 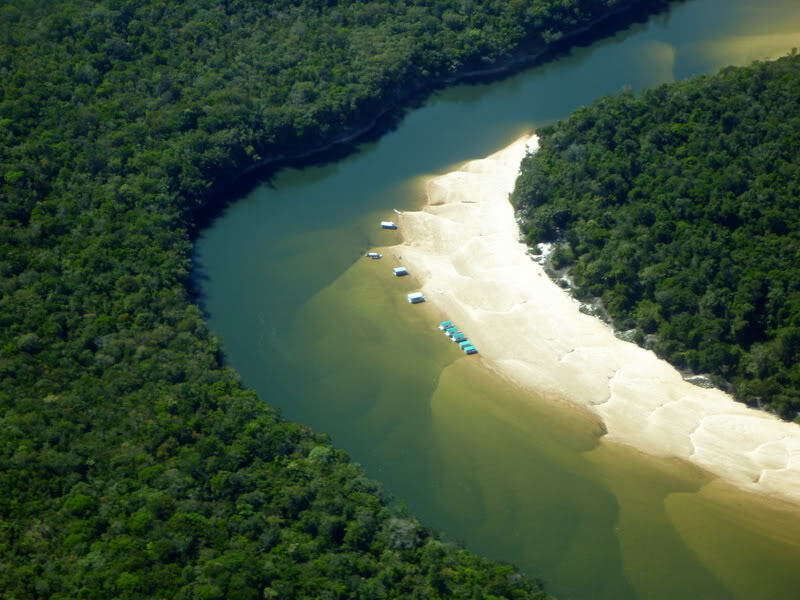 * Departure from Miami to Manaus. (Note: flight from Miami to Manaus not included in package price). 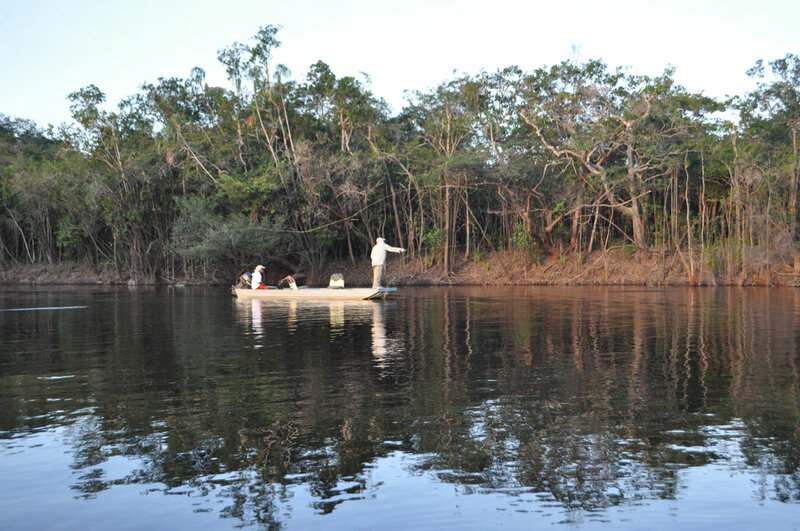 * Arrive in Manaus. After you have cleared customs, our representative will take you to your overnight at a five star hotel. 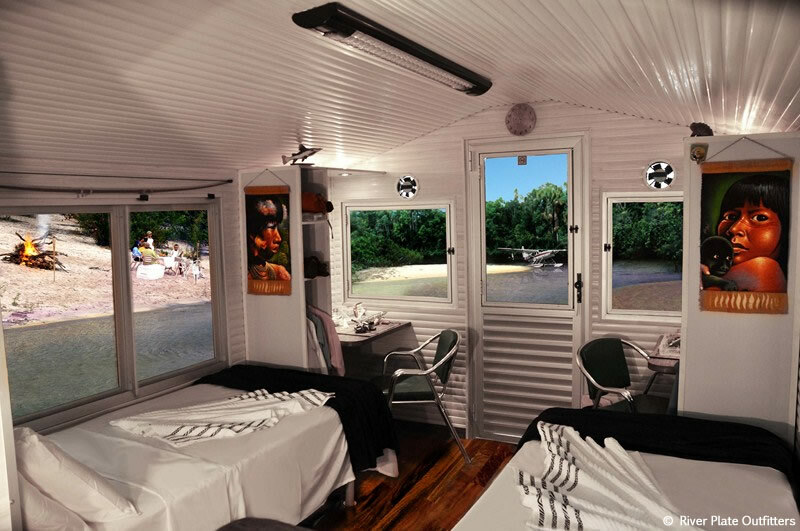 * Starting at 6.30 a.m, departures to one of our six Fly-In Floating Cabins, on charter flight + Express Boat. 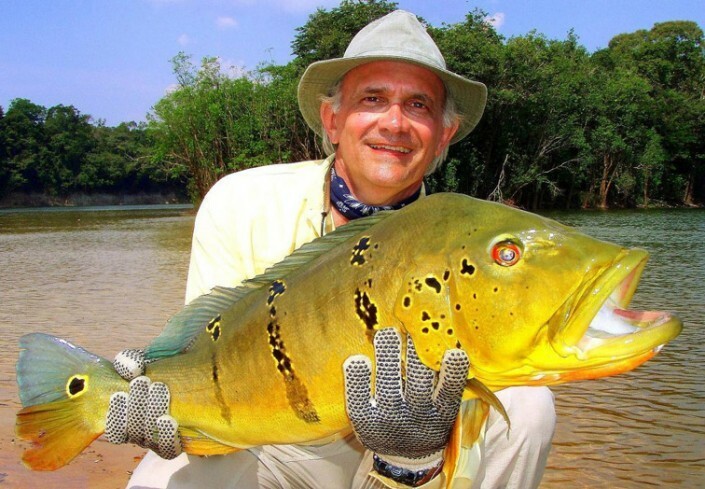 * If time allows, fish for a few hours in the afternoon. * Breakfast is served at 7:00 a.m. and your guide will be ready to leave by 7:30 a.m. (see menu below). * If staying on a fly in floating cabin we suggest you return to the camp for lunch and a nap, since you could be as close as 5-15 minutes away. 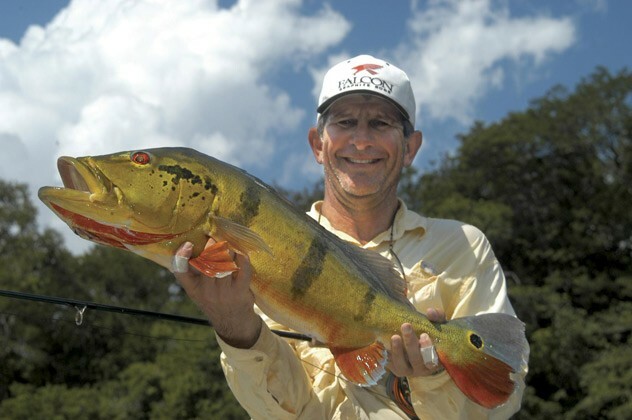 * If time allows, fish a few hours in the morning. * Departure from floating Cabins on Express Boat + charter flight to Manaus. 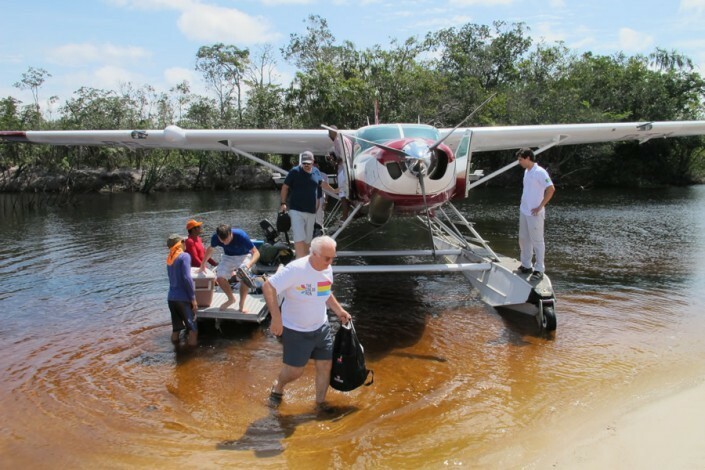 * Afternoon / night departure back to the U.S.
Includes air charter to private landing strip and express fast boat or floatplane.